While there’s a style of jewelry out there for everyone, contemporary jewelry has it’s place in every woman’s collection. Modern, sophisticated pieces are the best choice when you need to attend a fancy dinner party, impress colleagues at work, or dress up for a gala event. Discover which fine jewelry pieces you should always have in your collection and make sure you have at least one to fall back on for formal events. Every girl needs a little glitz and glamour in her life, and diamonds are the ultimate in fine jewelry. Whether you choose a pair of dainty studs or a bolder necklace and bracelet set, diamonds always make a good impression. There are a few styles to choose from when it comes to diamonds, and each can create a different vibe. 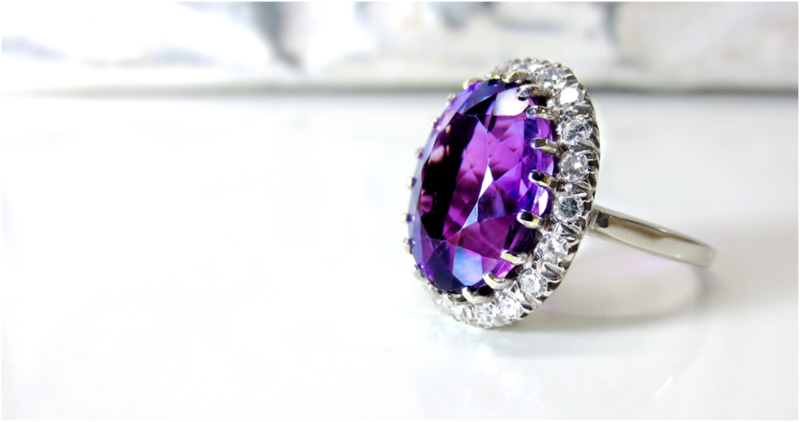 Vintage fine jewelry is very popular right now. You’ll find tons of pieces that come from the Victorian, Edwardian, and Art Deco eras. These pieces are generally more intricate and elaborate than just simple studs. They’re also an investment, as most of these pieces are heirloom quality that are few decades (if not hundreds of years) old. You’ll find lots of diamonds set in gold and platinum, as well as some diamond pieces accented by more colorful stones like rubies, emeralds, and opals. Bold diamond jewelry may include chandelier earrings, choker necklaces, or thick cuff bracelets. You’ll find that just one of these is more than enough to complete an outfit, while wearing two or three at once might completely distract from the rest of your ensemble. If you prefer to keep your jewelry subtle, delicate designs are for you. 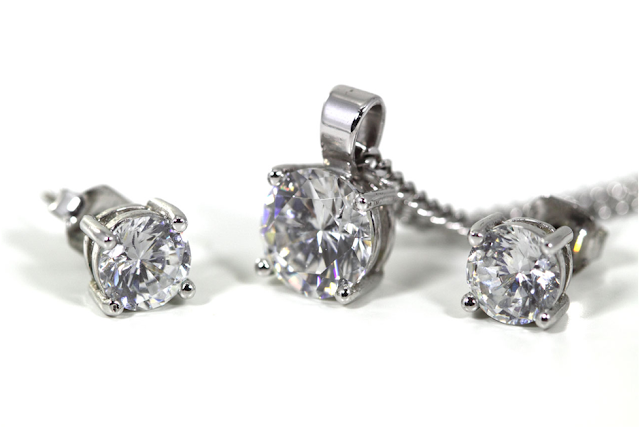 These are generally solitaire stones on simple ring bands of necklace chains that are meant to be worn as sets. You’ll often see necklace and earring sets that can be worn together in diverse shapes — from teardrops, flowers, and circles to triangles, lightning bolts, and hearts. While hoops have often been hijacked for street style and athleisure wear, they’re just as elegant at a cocktail party as they are on the dance floor. Keep this style elevated when you choose hoops that are the perfect size for your face. Small hoops are just barely large enough to encompass the bottom of your earlobe. They can measure anywhere from ½” to an inch in diameter. You can find these in diamond encrusted styles, as well as minimalist gold or silver. Medium hoops aren’t much larger than the small ones, but these can be much thicker. Instead of thin gold strands, you can find more intricate designs that incorporate leaves, center stones, and cuff-like shapes. 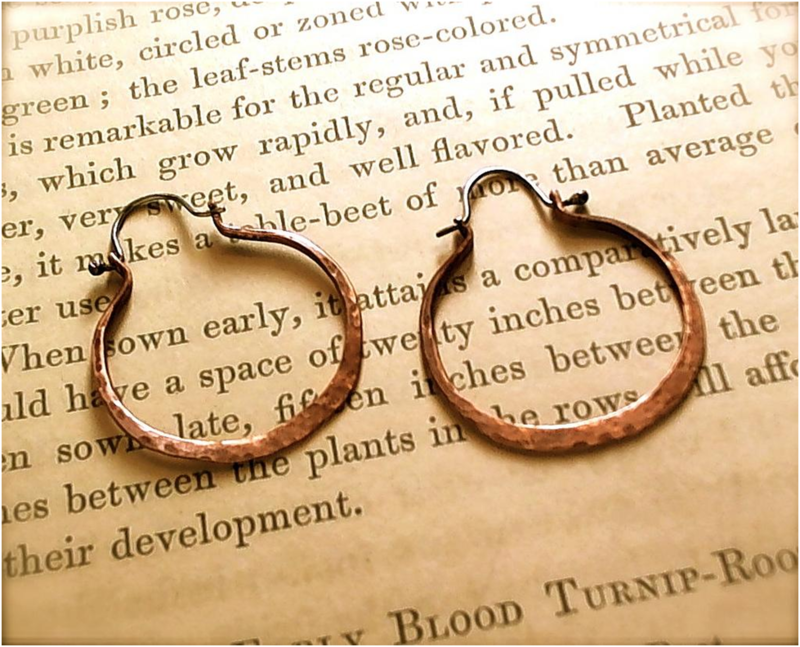 Large hoop earrings are usually measured in millimeters and look best around the 40-60 mm range. Depending on the size of your face, choose the appropriate millimeter measurement. When wearing these larger hoops, keep your hair up and away from your face, as hair tangled throughout your jewelry is never a cute look. Stacking rings and layering necklaces is definitely an antique trend that’s coming back into fashion. While in the past, the layered pieces were big, bold, and showy — your jewelry essentials should stick to the more delicate styles. 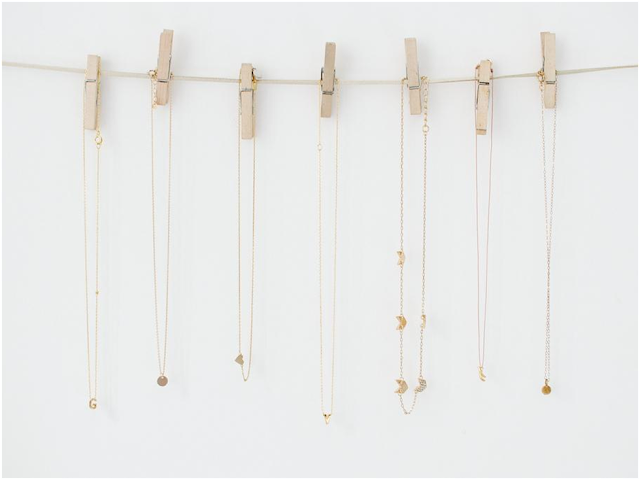 Two or three necklaces can be layered together as long as they come in varying lengths. You’ll want a 15-17” choker necklace, along with a 20-24” matinee necklace and a 34-37” opera necklace. Use these average measurements to play around with different necklace styles. Stacking rings is a little more complicated, as rings with protruding designs can be uncomfortable to wear with multiple other pieces. If you’re new to ring stacking, it’s best to choose a few thin bands with minimal embellishment. You can choose to stick with one metal or mix and match yellow and rose gold, or yellow gold with silver. Stack all your rings on just 4-6 fingers throughout both hands for best effects. Pearls are like diamonds — they’re one of the classics. It doesn’t matter how old or young you are, pearls are an iconic symbol of sophistication. To instantly dress up a casual outfit, nothing is better than a pearl strand necklace. While earrings and a bracelet are a nice touch, you don’t need them to elevate your look. Pearl necklaces are available in single or multiple strands, as well as a number of colors. The opalescent hue looks as amazing in pink as it does in grey, white, or blue. The classic options are pink or white, but if you prefer to be a little more daring blue and grey look great on a strand. Be wary of the size of your pearls, as a necklace that isn’t cohesive, with mismatched pearl shapes, will look tacky no matter what outfit you’re wearing. Perfectly matched pearl sizes aren’t the answer either, as these indicate fake, machine made pieces. Shop around for a necklace where all the pearls are similarly sized, but not exactly alike. Cocktail rings are a standalone trend that don’t have to be paired with any other piece of jewelry. By definition, these pieces are bold and obvious. Wearing just one ring (instead of two or three) keeps your jewelry from turning gaudy. Cocktail rings should always go on your right hand, as your left is reserved for more serious jewelry pieces. When browsing cocktail ring styles, primary shades that can complement or contrast against your favorite outfits are best. Look for ruby reds, canary yellows, and ocean blues. Even a deep amethyst or emerald green can look just right when you wear them with a black outfit. Having at least one of these pieces in your jewelry box will ensure you’re never under dressed when heading out to a formal event. If you attend a number of events that require more sophisticated dress, you may want to opt for several of these choices to avoid recycling the same pieces over and over. Author bio: Carolyn Clarke is a freelance blogger who has been writing about fashion and contemporary jewelry for nearly 10 years. When she’s not brushing up against a deadline, she enjoys exploring the hills around her Southern California home.